All credit unions are listed by state and in alphabetical order. 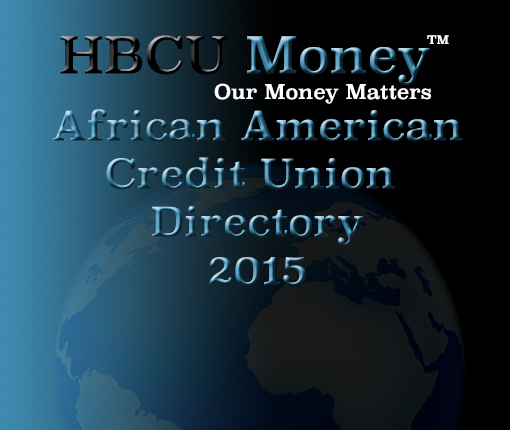 In order to be listed in our directory the credit union must have an African American designation. Click on the state to view the full list available. If the credit union has a website you can click on the name and go directly to their website. There are 334 African American designated credit unions with assets totaling approximately $5.6 billion in assets or approximately 0.51 percent of African America’s $1.1 trillion in buying power. African American credit unions have a total of 847 752 members. The total assets for all US minority credit unions is $37 billion, with AACUs controlling 15.1 percent of those assets. Total combined assets for all US credit unions are $1.1 trillion, with AACUs controlling 0.51 percent of total American credit union assets. For comparison, Asian American credit unions have approximately 360 000 members and $4.5 billion in assets. Average and median assets of $83.1 million and $32.3 million, respectively. Religious affiliated credit union make up 5.6 percent of US credit unions. African American religious affiliated credit unions comprise approximately one-third of all African American credit unions and almost one-fourth of all US religious affiliated credit unions. This entry was posted in Lists and tagged african american credit unions, black banks, credit unions. Bookmark the permalink. This is very true and educational. I think the problem is lack of marketing and convenience I didn’t know black owned banks and credit unions existed. And after researching it seem they mostly cater to one central location. Collectively they could service the entire U.S (taking care of the convenience) and have much more expendable funds to dedicate to marketing. If the people know about these banks and credit unions and can have availability to there assets regardless of where they are they will make the switch. In turn improving black wealth, business and stature as a whole. I myself didn’t know about the opportunity of putting my money in black own bank. Nor did I know we on credit Union also. Is there a credit union in Baltimore I can utilize also. I’m having a problem accessing the Credit Union site.